‘twas ten days before Christmas and all through the race, the runners flashed smiles… no matter their pace. 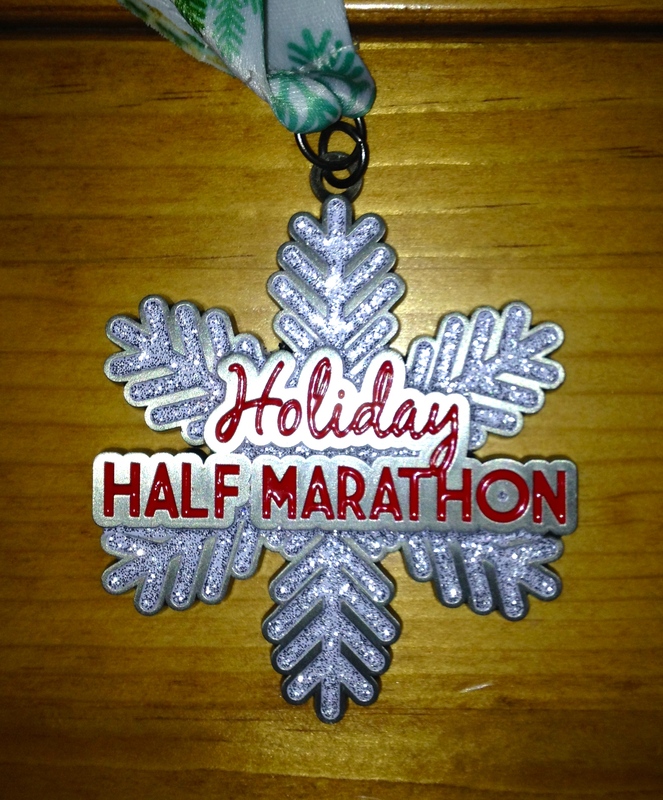 For those of us who want to get in a last race before Christmas & New Year’s Eve, the Holiday Half Marathon is a good option. The weekend includes a 5K run/walk and kids fun run on Saturday, culminating with a half marathon on Sunday morning. Centered at the Fairplex in Pomona, the half marathon included about 6300 runners, many showing their holiday spirit. Runners clad in red and green dominated the field, many wearing the free Santa hats and jingle bells given out with your bib. Others donned elf ears and some (myself included) sported a pair of reindeer antlers hoping to run like Rudolph. One other thing of note was the inclusion of the Students Run LA group, which was comprised of thousands of runners. The SRLA group started 30 minutes after the other runners, but some of those speed demons still caught the main pack. Registration cost is pretty standard for a half marathon; remember the earlier you register, the cheaper it is. I picked mine up at the highest price possible (see, I don’t even follow my own advice at times) and plunked down $90, still below R ‘n’ R prices. You have the option of picking up your packet the day before the race or on race day. I chose to go the day before, just because I personally don’t like surprises race day morning (or maybe it’s my race OCD kicking in). It was a quick process to grab my shirt/bib and Santa hat. They didn’t provide any bags to carry it in, nor was there any additional swag… so I advise you to bring a simple bag to carry your stuff. There wasn’t what you’d call an expo there, just a few running-related vendors and support for the day’s run. My advice would be if you are comfortable getting your stuff the day of your race, save yourself the time of trekking to the Fairplex twice. Driving is a must, as the Fairplex is a bit of a drive from LA proper. The upside of it being a fairground is there’s ample parking and it’s set up well for crowds (entering and exiting). Parking will run you $10, but the ticket is good for both days (should you decide to hit the “expo” the day before). The T-shirt for the race was an appropriate “santa” red and featured a festive, yet minimal, snowman/Christmas tree/snowflake motif. And in keeping with the “wintery” spirit (or as wintery as you can get in SoCal), the finisher’s medal was shaped like a snowflake (an annual tradition for the race). The Holiday Half is a rather circuitous route with two distinct personalities. The first three miles take you on a tour around the Fairplex grounds, including running the straightaway of the NHRA dragstrip course (slightly slower than a dragster, of course; no parachutes necessary). It’s a mostly flat and fast beginning (although not very scenic). For those of you hoping the flatness sticks around, sorry to disappoint you. Starting after mile three, the runners head out to Frank Bonelli Regional Park for some scenic and not-so-flat running. The rolling hills do keep things interesting and will punish those runners who started too quickly. After 8 miles of getting back-to-hilly nature, the runners loop back at mile 11 and re-run segments of the Fairplex again, including one more trip down the dragstrip before finishing where we started. Course services are pretty standard with volunteers handing out water and Gatorade throughout the course. Signs mark every mile (no digital clocks though) and there was one goof as the “mile 4” flag was placed almost a quarter mile off… oops. I didn’t see a lot of porta potties along the route (some bathrooms were present in the park), but to be honest, I wasn’t looking for them. Again, standard fare for the finish. A nice touch was having servicemen hand out the snowflake medals (although mine had some trouble maneuvering my reindeer antlers and nailed me in the eye with the medal… no harm, no foul). 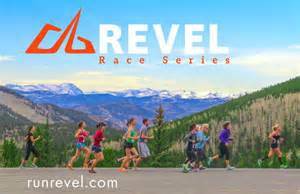 If you hung around after the race you could hit a few food vendors or get your complimentary Michelob Ultra (which hit the spot). After that, it was a trek back to the parking lot and then off for some holiday shopping. As a whole, the Holiday Half was a fun time without lots of whistle & bells (unless you count the bells people tied to their shoes). There are certainly races with more character, a prettier route or a bigger presence, but I enjoyed the experience including the holiday cheer. Posted on January 6, 2014, in General, Race Review. Bookmark the permalink. 2 Comments. Ran the 5K for this one, all in all a fun event. And we must think alike . . . I used a similar “parachute” reference in my recap also. It was a fun race and I was sporting reindeer antlers…but since I PR’d I may have to wear them again. And how can you run down a dragstrip and NOT think of whipping along at 300mph and needing a parachute to stop. I may try the Santa to the Sea race this year (it’s the same day as Holiday Half) just for variety’s sake, but I would definitely do the HH again.